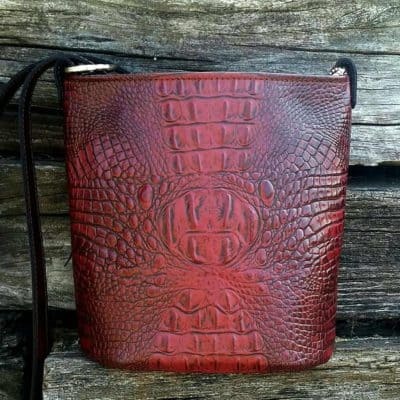 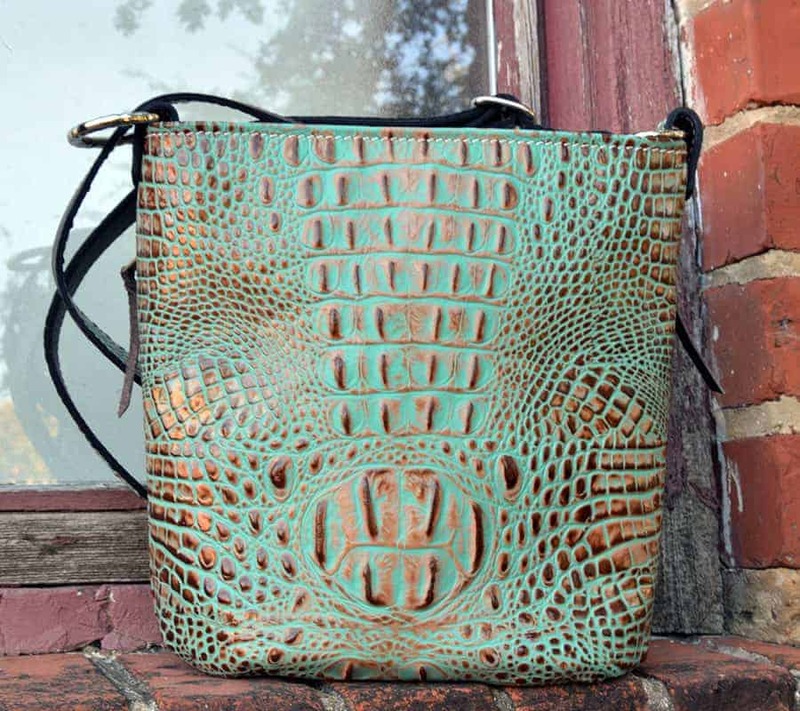 Luxurious turquoise highlighted by shimmery pops of copper and dollops of chocolate brown highlight the deep embossed crocodile of this fine Italian leather. 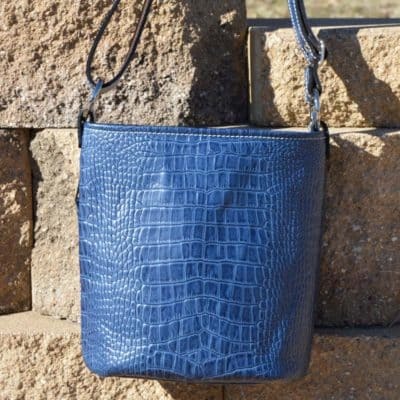 A petite package with a huge personality in both color and texture. 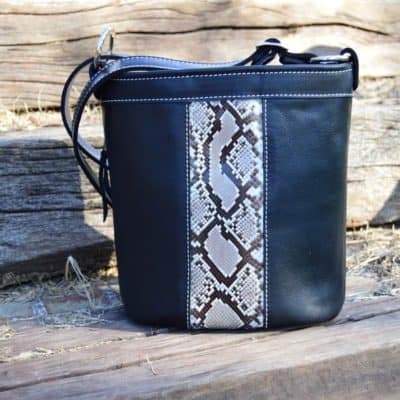 Bold nickel hardware add to the drama of this gorgeous conceal carry purse designed to carry all of your essentials.